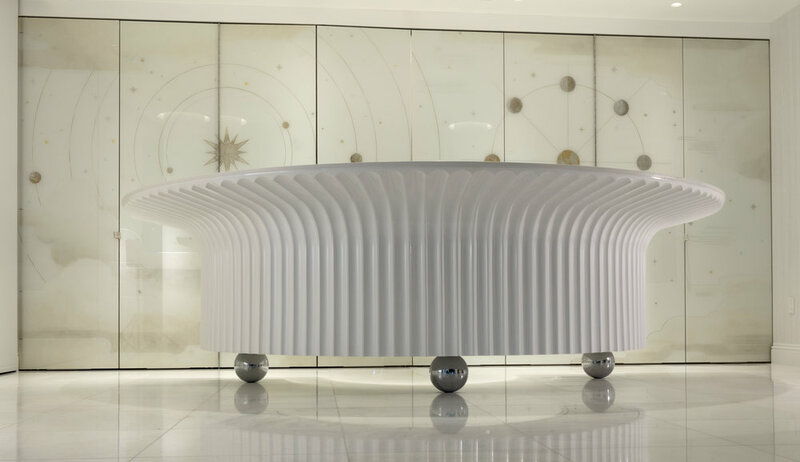 This floating bar, elegantly cantilevered on three spheres of polished Stainless Steel, is the expression of artful entertaining designed by Chad Jensen. Situated in a prominent water-front high-rise, this compound radius floating bar is 12’ of curvilinear design and engineering. 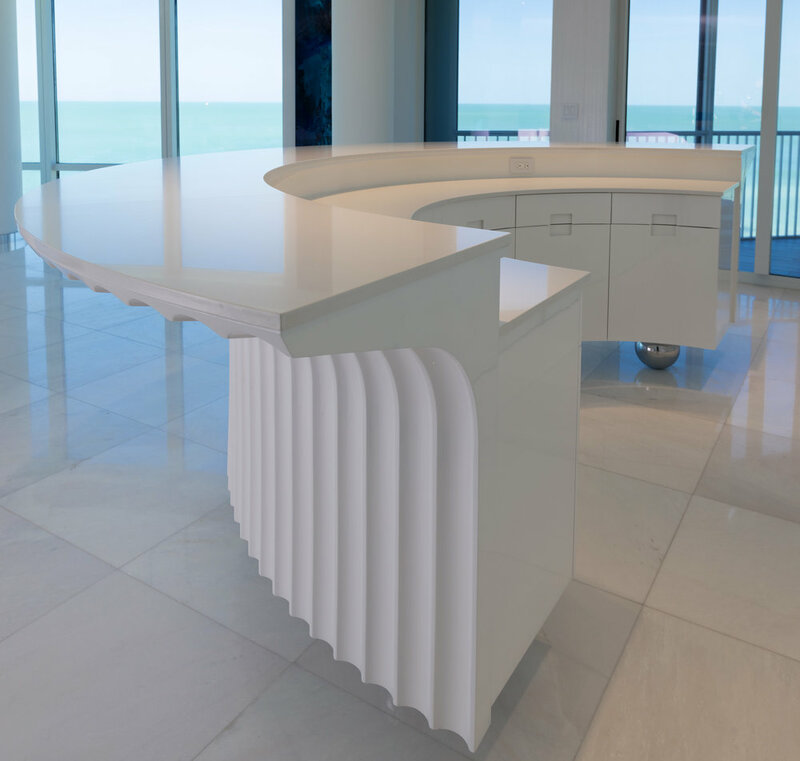 The complexity of form and finish features a fluted, curved facade with a high-gloss, hand-polished pearlescent treatment, a design-build partnership with Thomas Riley Artisans’ Guild.